What’s the Best 12000 Watt Generator? Well, it depends on what you need it for and what your budget is. We review several of the best 12Kw gas generator on the market. These are powerful workhorses that are designed to get you through emergencies, disasters or worksite situations where you need reliable power for your power equipment. Whatever the reason, these gas generators will provide you with reliable power. The incredible power of nature is both awesome and frightening at the same time. If you’re caught in the midst of a hurricane or an earthquake, frightening is probably what will come to mind. While hurricanes and earthquakes are the most destructive and terrifying of natural disasters, other natural phenomenon (like snow storms) also disrupt the lives of many people all over the world. Volcanic eruptions are much less common but can be the most destructive all. A heavy snowstorm can make roads unpassable, leaving people stranded for days, sometimes weeks. They also disrupt essential services, like power supply and landline telephones. In the case of hurricanes and earthquakes, people experience this and so much more. Hurricanes hit the Caribbean islands and the east coast of the United States every year. During the hurricane season, the news is always filled with scenes of disaster and mayhem. Every so often, these hurricanes are of astronomical proportions, affecting the lives of millions. Earthquakes, most common on the west coast, may not be as frequent – at least earthquakes that cause major destruction. Though, when they strike, their power can be catastrophic. The fact is, that despite all our technology and early warning systems, countless people are affected by natural disasters in some way or another. One of the common and universal problems with all forms of natural disaster is the disruption of electrical supply. Going without electricity for a few hours, or even a day, is inconvenient but, if it doesn’t happen too frequently, we can deal with it. When we have to go without normal electrical supply for days on end, this is a different story. Not only does a break in the electrical supply seriously disrupt our lives, it can be outright dangerous. People with chronic conditions often rely on medical equipment that needs a constant power supply. When landlines are down, your cell phone might be your only connection to the outside world and you’ll need to keep it charged. You also need to rely on the media to update you on weather conditions. Less hazardous, but equally disruptive are the essential appliances in our homes that no longer function without electricity. If your refrigerator or deep freeze stand for too long without electricity, your food will spoil. This can be quite distressing when you’re not able to get a store because the roads are blocked. Not to mention that the store may not even be there if it’s caught in the worst of a hurricane or earthquake. What all this boils down to is that it’s a very good idea to have a backup emergency power supply if you live in an area that’s prone to some form of natural disaster that will leave you without a grid power supply. Portable generators are very common and are used for many purposes. From vacationers who simply want some of the home luxuries when they’re out in the wilderness to contractors and emergency workers who rely on portable generators all the time. When it comes to backing up your home in an emergency, a small portable generator will keep essential electrical equipment like lights, TVs and perhaps light medical equipment functioning. When it comes to larger essential appliances like refrigerators and sump pumps, you’re going to need a larger generator. Then, of course, it could be nice to have less essential equipment (like an air conditioner) working as well. Full-size standby generators for your home are very expensive and use large quantities of gas or diesel, they are priced too high for many homeowners. Besides, a portable generator is more versatile and can be used for many other purposes. You are going to get a lot of power from a large standby generator – anything from 15KW up to 40KW or more, though few homes need more than 20KW. If you look at a 3-4 bedroom family home, your normal electricity consumption will be about 4-5KW at any given time. This can peak at about 10KW when the demand is heavy – though this will always be for a short period of time. Some homes can reach a peak of around 20KW, this would be a larger house with many high-powered devices like pool pumps, spas and very large central AC units. The fact is, most family homes can function normally or, at least, very close to normal with a generator that supplies around 10-12KW. The good news is that you can get portable generators that deliver this kind of power. Though the word portable, in this case, doesn’t mean that it’s too easy to move. They’re large and heavy but do have handles and (usually) wheels which means that you can move them around. This is unlike a standby generator that is built into an enclosure and is a permanent fixture of your house. Large, powerful portable generators are much more affordable and versatile than standby generators and also much cheaper. For most people, a large portable generator is an ideal solution. Farmers and building contractors who need extra power for high-power equipment also benefit from these machines. There’s a lot of talk about inverter generators, these days. If you’re going for a smaller generator, say 3500W or less, an inverter is important to supply clean power that won’t harm sensitive electronics. When you have a generator that delivers a peak power output of around 12000 watts, the need for an inverter falls away. A large generator delivers much more stable power, this is because they have much larger engines and alternators that won’t strain as easily under load. Harmonic Distortion (HD) only really occurs when a generator is running at close to its maximum power output. It becomes more difficult for the automatic voltage regulator (AVR) and engine to adjust to changing load demands when the generator is working too hard. Large generators seldom reach their maximum power output under normal use and this is usually for a very short period of time. In order for a 12KW generator to reach its maximum peak load (if we use the example of an average 4 bedroom home), you’d need to have a refrigerator, air conditioner, and a large swimming pool pump switching on at exactly the same time, this would have to be when all your other regular appliances are running as well. Not only is this going to happen very seldom, but the period for which this equipment is going to need a peak starting load is less than a second. This really means that a generator of this size doesn’t need an inverter. I don’t know of any large generator that uses an inverter, it’s just a waste of money – otherwise, they would be available. So a portable 12000W generator is a much more affordable option for backing up your home than a standby generator. They’re still way more expensive than a small 1000W generator. This is obvious and, besides, they can’t really be compared. A 1000W generator won’t even run a single refrigerator, never mind your entire home. It’s possible to connect a large enough portable generator directly to your home’s wiring. It would require a transfer switch and you need to get an electrician who’s familiar with this type of installation to do this for you. 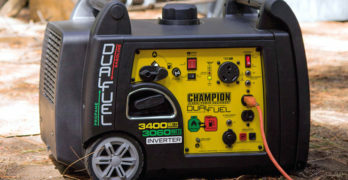 You can connect a portable generator directly to home and still be able to disconnect it if you need to use it elsewhere – again, you need to make sure that you’re using a professional who understands this if you want this versatility. If you’re using a transfer switch, your portable generator is almost as convenient as a standby generator. The only difference being that a standby generator will start and switch from grid to generator power automatically. It will also switch off automatically when the grid power is restored to normal. If you’re using a portable generator, you’ll need to start it yourself and engage the transfer switch manually. You’ll also have to stop the generator and switch back to the mains power when it’s back to normal. Given the massive price difference between a large portable generator and a standby generator, this is a small sacrifice. With so many hurricanes hitting the country every year and the severity of these, it’s reassuring to know that there’s a relatively inexpensive way to back your home up when it comes to electricity. It’s always a good idea to be prepared. I think that you can see quite clearly that a 12KW generator can be a really great investment. With prices reaching (and in some cases exceeding) the $4000 mark, it’s quite an investment. You’ll want to do some homework before paying this kind of money for any type of equipment. Fortunately, we have (once again) done all that hard work for you. By narrowing your search down to five of the best generators that deliver around 12000W peak power, your decision is going to be much easier. You don’t need to stress about what you’re paying for – these are all really fantastic generators. I would say that some are better than others, but none of them will be a waste of money. You will get many years of reliable service from any of these generators. Choosing between the DuroMax XP12000EH and the XP12000E is simply a matter of deciding if you want dual fuel (hybrid) capabilities. The Duromax XP12000E is a standard gas generator like any other. Whereas the XP12000EH includes the letter “H” in its model number, this stands for hybrid and means that it can run on regular gas or natural gas (propane). The specs for both models are identical. The obvious exception is that the DuroMax XP12000EH has a connection for an LP gas pipe and the carburetor has been modified to allow for dual-fuel operation. Many prefer the option of using natural gas for its lower carbon emission levels, making it a more environmentally friendly fuel. Another advantage of using a propane tank is that it’s easier and safer to store and transport. The fuel can’t be spilled and there are no fumes – like you’d get from a regular gas can. Another advantage of propane is that you get more fuel from the same volume container. This means that you don’t need to store as much fuel for the same amount of running time. Though your power output is slightly lower when using natural gas. The engine used to power the Duromax XP12000E and XP12000EH isn’t CARB compliant – so it doesn’t meet California’s emission regulations. It does have an EPA approved spark arrestor, making it safe for use in all national parks and forested areas. Powered by a reliable and highly durable 457cc 18 HP OHV engine, the DuroMax XP12000E/H pumps out 9500 running watts with a peak power of 12000W. This is enough current for some heavy duty household work and demanding site conditions. The generator is housed in a solid steel frame with four-point (fully isolated) engine mounts. A rugged wheel kit is provided for easier transportation and the front standing feet have a strong rubber base for low vibration. An 8.3-gallon gas tank gives you good fuel storage and you’ll get about 10-hours run-time from a tank of gas at 50% load. I estimate that a normal family home will be running at about 50% of the 9500W running load of this generator. This means that during your normal to peak load times, you’ll be getting about this kind of time. If you leave it running overnight (when your power demand is lower), you should easily get 12-hours or more. Using a standard 20 LBS propane tank, you’ll get about 20-hours at 50% load, if you have the DuroMax 12000EH hybrid generator. Using the DuroMax XP12000E/H is a real pleasure, it has both electric and recoil starters. This means that you have the easy starting of an electric starter motor but if for some reason, your battery runs flat you can still get it started the old-fashioned way – pulling on the recoil starter. It has a very convenient control panel with everything you need and it’s simple to use and understand. You get 2 X 120V 20A standard household power outlets, a 30A 120V twist-lock outlet for RV’s and a high output 120V/240V outlet as well as a 12V outlet for charging batteries. All the circuits are protected for overload by circuit breakers. You also get an analog voltmeter and a low oil level warning light with automatic engine shut-off to protect the engine when the oil runs low. The DuroMax XP12000E/H is not a very quiet machine, though the noise level of 72dB is better than most generators of this size. It’s not too light either, who can expect a robust 12KW generator to be anything but heavy? It weighs 265 LBS, although this seems like a lot, it’s actually the lightest of all the generators in this review – making it quite exceptional in this regard. This weight is made easier to deal with, thanks to a really strong fold down handles with rubber grips and the big rubber wheels with steel rims. The DuroMax XP12000E and its hybrid brother, the XP12000EH offer really great value for money. A generator of this size is never going to be cheap, but for its price, the XP12000E offers outstanding quality. The dual-fuel DuroMax XP12000EH will cost a little more, but you’re paying extra for the benefit of its hybrid capabilities. This is a seriously tough generator with no frills, bells or whistles and comes with a 1-year warranty. All copper 50A generator produces clean power. When you’re looking at industrial grade machinery, the name CAT says it all. The CAT RP12000E will be equally fitting on a hardworking building site as easily as it will in any home. It’s very likely that you’ll never have to replace this generator, it’s built to last and will take on even the most challenging environments with ease. Just looking at the CAT RP12000E, tells you that this is a robust machine. From the durable frame with fold-out handle and large 11” rubber wheels with steel rims, the industrial quality of this ultra-powerful generator cannot be disputed. When it comes to the engine, it’s in a league of its own. The 670cc V-Twin engine is as powerful as it is indestructible. With the correct service, this engine should last for decades. When we look at the alternator, it must be one of the best, producing exceptionally low Harmonic Distortion (HD) – less than 5%. The best inverter generators have an HD of less than 3%, so for a standard generator (without an inverter), this as good as you’ll get. At >5% HD, it’s safe enough for your TV and other sensitive electronics. At a normal running load of about 50%, you HD should be less than 3%. It also has an automatic voltage regulator (AVR) for extra protection against power surges. The power output of 12KW running power and 15KW peak (starting) power exceeds all the others in this class. It has the ability to deliver both 240V and 120V AC current and has a 12V output. If you’re using 120V, you’ll get an incredible 100A of constant power (50A at 240V) with a peak of 125A at 120V. Take a look at the main circuit breaker on your home and you’ll see that the CAT RP12000E should match or come very close to this. It will almost certainly provide all the electrical current needed to run most average-sized homes, with power to spare. With this much power at your disposal, the CAT RP12000E should never take much strain, improving its engine life. Now with all this power, you’d expect this to be a very thirsty beast. While the fuel consumption is much higher than a small portable generator, it’s really good for a machine of this size. It has a really large 13.2-gallon (50-liter) gas tank that will give you close to 12-hours run time on a tank of gas at 50% load. At 50% of the maximum running load, you’re looking at 50A of power at 120V. I doubt many homes will reach this average, so you can easily expect 14-hours or more for an average home. You’d expect a generator this large to be very noisy. I don’t have official noise level readings for the CAT RP1200E, but I can say that the premium muffler makes it a lot quieter than most other generators of this size. The muffler also includes a spark arrestor for added safety. With EPA and CARB compliance, you have no need to worry emission level regulations in all 50-states. A CSA model is also available, but this has a slightly lower output of 11000 running watts. The control panel has LED backlighting, which is a pretty cool feature. It offers you everything you need neatly clustered together and easily accessible. Outlets include a 14-50R 120V/240V 50A socket, 2 X 50L-30R 120V 30A sockets; an L14-30R 120V/240V 30A socket and 2 X 5-20R 120V 20A GFCI outlets. All the power sockets have rubber covers and are protected by individual circuit breakers. You get a USB smart charger with the generator, along with all the tools that you’ll need, which include an 8/10mm wrench, 12/14mm wrench, spark plug wrench, screwdriver, oil, and a funnel. The control panel also has a digital display for voltage, power output, and runtime. You’re able to control the idle revs from the control panel which helps to save fuel and reduce noise levels. It has an electric starter and manual choke. The fuel gauge is fitted on top of the tank and not on the control panel. You’ve probably guessed that this is a heavy generator and this, it certainly is. At 353 LBS, you’re not going be lifting this machine easily – even with two people. The guys at CAT have thought of this when designing the generator and it has a lifting hook placed dead top center – so you can lift it with a winch and it won’t tilt in any direction. The handle also gives you a very convenient position to pull the generator and it even has a soft-grip to make it more comfortable. The smooth-running engine, rubber feet on the frame and thick rubber wheels also mean that you won’t get much vibration from the CAT as it purrs away. I’m convinced that you won’t find a better 12KW generator than this one. Its durability far exceeds expectations, as does its power output. In every aspect of its design and construction, the mighty CAT RP12000 will impress even the harshest of critics (myself included). You get a 3-year warranty on the CAT RP12000E, but you’ll need to register your generator with the manufacturers within 30-days of your purchase. If you don’t register it, your warranty will be, by default, 2 years. The CAT RP12000E has been engineered for demanding applications. It’s the perfect jobsite generator for any industry, but can also be used as an emergency backup generator. Industrial strength generator ready-for anything. Ordinarily, DeWalt would be my first choice when it comes to high-quality power equipment. With the CAT RP12000E setting the bar so high, the DeWalt DXGN14000 might look like it has to take second place. Though I’m glad to say that the DeWalt beats the bunch in that delivers far more wattage than all the others and matches the CAT in terms of solid industrial-grade engineering. The DeWalt is certainly worthy of the proud heritage that comes with the yellow and black DeWalt branding. Powered by the Honda GX630, 680cc OHV engine, you’re assured of getting one of the most durable and powerful gas engines used on any generator. The power output of the DeWalt DXGN14000 beats all the others featured in this review. You get a peak power output of 17000W and running power of 14000 watts. This is supplied by a low harmonic distortion alternator. The engine is EPA, CSA, and CARB compliant – legal for use in all 50 states and safety rated for national parks. Fuel consumption is pretty good, but certainly not the best. The DeWalt DXGN14000 has a 10-gallon gas tank and this will give you about 8-hours running time at 50% load. The noise levels of this generator aren’t too impressive at 83dBA. So while the Honda GX360 is a tough piece of machinery, it is quite thirsty and probably not the most refined. Though you must remember that 50% of the maximum rated 14000W running power does mean that you’re getting more watts from the DeWalt. If we compare the kilowatt-hours (KWh) per gallon of gas, the CAT will give you 6.36 KWh per gallon and the DeWalt gives you 5.6 KWh per gallon. This means that you’re getting more power per gallon of gas from the CAT, but it’s pretty close. Like the others, you also get an electric starter on this generator. The DeWalt DXGN14000 has a fairly comprehensive and very well laid out control panel. It has 2 X 120V 20A GFCI (household) outlets, a 120V/240V 50A twist-lock outlet, and a120V240V 30A twist lock outlet. All the outlets have durable rubber covers, protecting them from dust and moisture. It also has a digital hour meter and adjustable idle control. All the circuits are protected by high-grade hydraulic/magnetic circuit breakers and the engine is protected by automatic low oil shutoff. When it comes to weight, the DeWalt is slightly lighter than the CAT at 344 LBS. It also has an industrial lifting hook, positioned for perfect weight distribution. You can push the generator around very easily, it has fold-down handles and large wheels with steel rims that handle any terrain with ease. This is a fantastically built generator, I wouldn’t expect anything less from DeWalt. The frame and all components are extremely durable and it has excellent rubber mountings and standing feet that will reduce most of its vibration. I’m a big fan of the DeWalt brand, so this one is going to be my first choice on this list of generators. If you compare it to the CAT, which is its closest rival, the DeWalt offers you a lot more power. The CAT is, however, more fuel efficient and that may make it better in some people’s opinion. The DeWalt DXG14000 comes with their impressive 3-year warranty, 1-year free service plan and 90-day money back guarantee. From 23 feet, the noise level is 78 dB, similar curbside sounds on a busy street. Powerful 12000 Watt Generator for emergencies and jobsites. Can power your entire house – lights, sump pump, refrigerator, modem/router, security system, window AC, furnace blower, fan, TV/DVD, computer, well pump, microwave and will start and run a central AC with a manual transfer switch (not included). Volt Guard built-in surge protector prevents overloads and keeps your equipment safe from spikes in voltage. For over 40 years, Powermate has been an industry-leading brand. Electric start Subaru V-Twin OHV gas engine with low-oil shutdown. Includes (2) quarts of engine oil and (1)12V 34AH battery. If you don’t have the big bucks, the previous two generators may have left you wishing that you had more to spend on a large backup generator. For those who feel that the other generators in this review are unaffordable, the Powermate PM0601258 will come as a breath of fresh air. It’s decidedly cheaper than most and is a good quality generator from a brand with a great reputation. Powermate build their generators in Wisconsin, so if buying American is important to you, then this will make it all the more attractive. They source only quality Japanese engines for their generators and this is a good thing. Some of the best engines for generators have hailed from Japan, even the mighty DeWalt uses a Honda engine – this kind of says it all. The general build quality of the Powermate PM0601258 is up there with the best of them. The steel frame doesn’t seem as tough as the really expensive machines but is still great. It’s powered by a Subaru 22HP OHV engine, which is a fantastic engine. Though this engine is not CARB or CSA compliant – if you live in Canada or California, you’ll have to go for one of the others. Like most large engines, it has an electric starter and also has low oil shutoff, like the other generators in this review. This durable and powerful engine drives an alternator that pumps out a pretty impressive 12500 watts of running power and a peak starting current of 15625 watts. I’m surprised to see that it doesn’t an automatic voltage regulator (AVR), this is pretty standard on modern generators and its omission comes at a bit of a disappointment. You’ll be forking out a bit fuel when using the Powermate PM0601258. It has a decent sized 8-gallon fuel tank, with a fuel gauge on the tank. Though, at 50% load, you’ll be getting about 6-hours run time from a tank of gas. It weighs 336 LBS and has large 13” pneumatic wheels with steel rims and tough rubber feet to stand it on. It also has fold-down handles with rubber grips to make it easier to move. It has a small control panel with a good selection of power outlets and, apart from the fuel gauge, there are no other gauges and nor does it have a voltmeter. You get 2 X 5-20R 120V 20A duplex GFCI (household) outlets, a 120V l5-30R twist lock 30A outlet and a 120V/240V 14-50R 50A outlet. It doesn’t have a 12V battery charging outlet. So while the Powermate PM0601258 is a fairly basic generator, it gives you everything that you need at a very reasonable price for a generator of this size. You won’t be disappointed by your purchase. Powermate has a dealership network of over 2000 outlets around the US and this generator has a 2-year warranty. Just a note to anyone who reads the reviews on Amazon – I always check up on customer reviews to get a better idea of what others have to say. If you read the Amazon customer reviews for the Powermate PM0601258, they’re not for this generator. They’re all for the Powermate 7000W generator, powered by a Honda engine. I often see this on Amazon. It seems like when they don’t have customer reviews for a particular item, they just go ahead and post others for a similar item from the same manufacturer. Top rated 12,000 watt portable generator. Very affordable and reliable. Best 12000 watt generator if you demand the best in class for work or emergencies. Exceptional quality will cost you but worth every penny. ✓ View or download the MANUAL for the Yamaha EF12000DE. Yamaha generators are in the same league as all the top brands and the price is right up there with the best of them. My only gripe about Yamaha generators is that they don’t have the same power output as their closest rivals – meaning others in the same price range. If you compare the running and peak watts of the Yamaha EF1200DE to that of the DeWalt DXGN14000 and the CAT RP12000E, you’ll see what I mean. Other than this, the Yamaha EF12000DE is a worthy competitor among the best 12000W generators. It has an amazing 2-cylinder, OHV 653cc engine. No one can fault Yamaha on their engines and this one has some great advantages when it comes to durability and performance. The engine has a cast iron sleeve and very reliable Transistor Controlled Ignition (TCI) – this makes it really easy to start and reduces maintenance costs. Another easy starting feature on the Yamaha is auto decompression which opens the valves when starting. Provides 8 hours of continuous operation at rated load without refueling. With an electric starter motor, you’ll never hassle about getting the Yamaha EF12000DE going, no matter what the weather conditions may be. I’m surprised to see that this engine is not CARB compliant but it does have a UFS approved spark arrestor. Like many of the others, it has a low idle setting to reduce noise and fuel consumption as well as a low oil shutoff to protect the engine. The alternator is also great and includes noise suppression that eliminates the interference that you get on TVs and AV equipment which so often happens when using a portable generator. It delivers 9500W running power and a peak output 12000W – I’ve already pointed out that this is not the best, but is still good enough for most home and contractor needs. A built-in, and very reliable, AVR helps to protect your electrical appliances. Fuel consumption is probably the best and you’ll get 8.9 hours from the 11.4-gallon gas tank when running at its maximum load. When we compare this to others at 50% load (which is more like your expected average load), you get over 17 hours from a tank of gas and this tank is smaller than the one on the CAT and only slightly bigger than the tank on the DeWalt. Noise levels are not as good as some and the Yamaha EF12000DE will be growling at around 80dBA. It weighs in at 327.8 LBS so, while being a pretty hefty machine, it’s similar in weight to most of the others. Though when it comes to wheels, I don’t think that they’re the best. I’ve noticed that most Yamaha generators have much smaller wheels than other generators. You get four wheels on the Yamaha EF12000DE, whereas all the others have two and the fact that they’re much smaller doesn’t make them any less durable – they’re strong steel-rimmed wheels. The four little wheels will make it easier to move the Yamaha EF12000DE on a smooth surface (like in your garage) as long as you’re moving it in straight line – two wheels with a wheelbarrow type handle will be easier to maneuver. Where I think these wheels will become a hassle is when you’re negotiating dips and bumps. I wouldn’t want to try pushing this generator along a gravel surface – bigger wheels handle obstacles much better. When it comes to power outlets, you’re limited to two duplex standard 20A 120V household GFCI sockets. This isn’t very convenient for RV owners. If you want to use 240V or a high current connection, you’ll need to hardwire the connection – connecting directly to the generator wiring, which means you won’t be plugging or unplugging the connector. Naturally, it has circuit breakers for overload protection and it has an analog voltmeter on the control panel and a fuel gauge on the gas tank. The engine on the Yamaha EF12000DE is probably the best out of all the engines in this review, mostly when it comes to fuel consumption. You’ll be saving a lot on fuel if you buy this generator and this is probably its biggest selling point. Although you are getting fewer watts, so your watts per gallon does bring the figure down slightly but, even then, the Yamaha still offers the best fuel consumption. For the rest, the Yamaha EF12000DE isn’t quite as impressive as the other two top contenders (the DeWalt and the CAT) – it’s less powerful in terms wattage output and doesn’t have all the high-current power outlets like all the others. When it comes to quality engineering and build – it’s a Yamaha, so naturally, it’s going to be up there with the best of them. This goes for service and backup too and you get a fantastic 3-year warranty on the Yamaha EF12000DE. Of all the natural disasters that affect the US, hurricanes are probably the most frequent and can be extremely dangerous. Even with all the best technology in the world, the weather guys are still limited when it comes to predicting the path and force of hurricanes. This is because hurricanes can change direction and intensity at very short notice. So if you live in an area where hurricanes are an annual occurrence, it’s best to be prepared in advance. Good planning ahead of the hurricane season can be crucial to your survival. It’s a case of planning for the worst and hoping for the best. Here’s a checklist of things to do when preparing for the hurricane season. Ensure that you have enough food and water. Non-perishable foods like canned goods and dry foods can make all the difference when a hurricane strikes. Canned food is actually better than food that requires water because water is very likely going to be in short supply. You can’t be too sure how long you may need to survive on emergency supplies. At least three days’ supply of food and water should be provided for – longer will be better. Buy enough bottled water and fill the bathtub and other containers with tap water in advance. Remember to buy your emergency supplies well before a hurricane is imminent. Once the hurricane warning comes, the stores will be inundated with desperate people who haven’t planned in advance. Prepare for a power outage. The likelihood of the power grid being affected by a hurricane is very high. It’s best to have a gas generator or, at least an emergency inverter that can supply basic electricity from a 12V battery. If you don’t have a backup power supply, you’ll need to take into account that the food in your refrigerator will probably go bad and you should plan to use the most perishable foodstuff first. Make sure that you have several flashlights and enough batteries for these. If you don’t have a backup generator, a windup radio is an essential item – it will at least give you access to weather and news broadcasts. If you’re wise and have a generator, make sure that it has been serviced before the hurricane season and ensure that you have spare oil and plenty of gas. Like food and water, it’s better to have too much gas than too little. Depending on the size of your generator, you’ll need to have several 5-gallon gas cans filled and ready for an emergency. Have your disaster kit checked and You should have a disaster kit which must include a first-aid kit, spare batteries, flares, extra blankets, a physical map, jumper cables, extra gas cans and emergency flashlights. Your kit should be packed and ready for evacuation if the need arises. Your emergency food and water supply should also be ready for evacuation. Before the hurricane season sets in, make sure that none of your medical or food supplies have reached their expiry date. Also make sure that your prescriptions for chronic medication have been filled, along with other items specific to certain medical conditions, like asthma pumps. Prepare your home. Make sure that your insurance policy is up to date and that you’re appropriately covered. As the hurricane approaches you should close the shutters or board up your windows and doors. Turn off the main electrical and gas supply to your home. 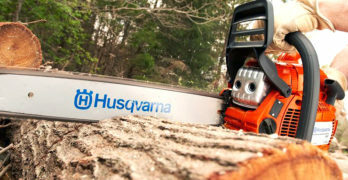 Cut back trees and branches that could pose a threat to your house or vehicles. It’s a good idea to designate a room in your home as a “safe room”. If the storm is particularly severe, your house may be at risk and a room without windows or exterior doors can save your life. Make sure that you have emergency supplies in the safe room – water, food, flashlights and your first aid kit. Stay informed. During the hurricane season watch the weather reports regularly or listen to the radio. Internet sites and phone apps that give regular weather updates can also be a lifesaver. In the worst case scenario, you’ll receive an evacuation warning and you need to know about this timeously and be prepared to leave your home and head to a safe Remember that food and other supplies may be in short supply at the shelter, so take whatever you can with you.